Conditioned tap water is likely better than some bottled water, because it has buffering minerals that stabilise pH. 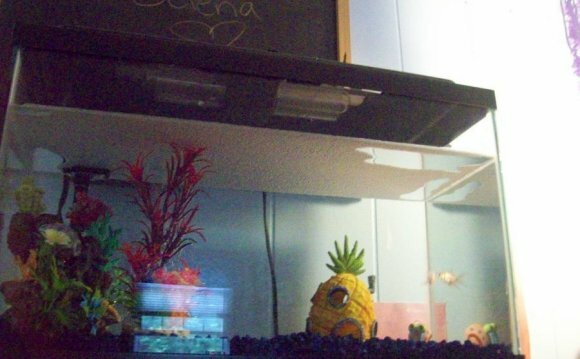 Your aquarium does need a small filter, a heater and a full hood to prevent jumping and water evaporation. A small aquarium like you have is difficult to maintain, because a little too much food or a missed partial water change could result in a dangerous ammonia spike. A larger tank is much more forgiving of mistakes and is more suited as a betta habitat. Five gallons is about the minimum practical size. To answer the filter question, a very simple setup is a sponge filter connected to a small air pump. Because bettas struggle in turbulent water, the airline tubing should have an extra valve to bleed off excess pressure. Sponge filters can take up some room, and they're not attractive. A simple alternative is an under gravel filter powered by an air pump. To provide effective filtering, the gravel substrate should be at least two inches thick.